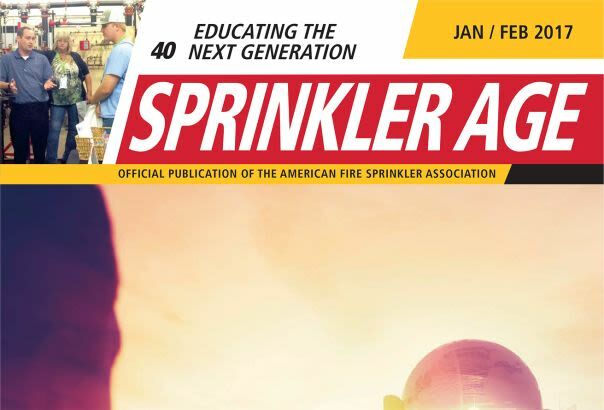 Globe's John Desrosier, a new technology research engineer, contributed the article "Temperature Change and Dry Pipe Systems Fluctuations Can Cause Problems" in Sprinkler Age Magazine. "As fire protection designers and engineers, we tend to think of sprinkler systems as very static systems. Hydrant flow tests are run and sprinkler designers design the system around the expected pressures. In actuality, sprinkler systems tend to be expanding and contracting, pressurizing and depressurizing, heating and cooling, in cyclical periods. Most of the time the pressure increases are not significant enough to cause problems but occasionally the perfect storm arises and several installed conditions and atmospheric conditions come together and can cause “the valve to trip on its own.” Both of the aforementioned conditions can be combated by the introduction of a relief valve. It is now required on all wet systems to include a relief valve, but I would recommend a relief valve on the water side of any direct differential style valves. The fairly inexpensive valve has the potential to prevent some false activations, which can save trips to a site and the headaches associated with false activations."